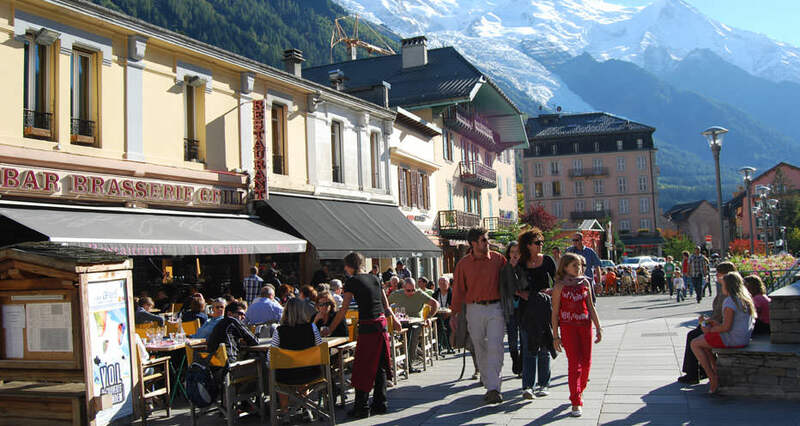 Located at the northern end of the Chamonix Valley, Argentiere (1230m) is a large village offering a more peaceful alternative to Chamonix town. There are a handful of hotels, bars and restaurants and it maintains its French Alpine feel. It is logical place to stop overnight when doing the Tour du Mont Blanc. Although well known as a winter ski destination, with some fabulous off-piste runs, Argentiere is one of the few ski resorts in the Alps that maintains its year-round appeal. 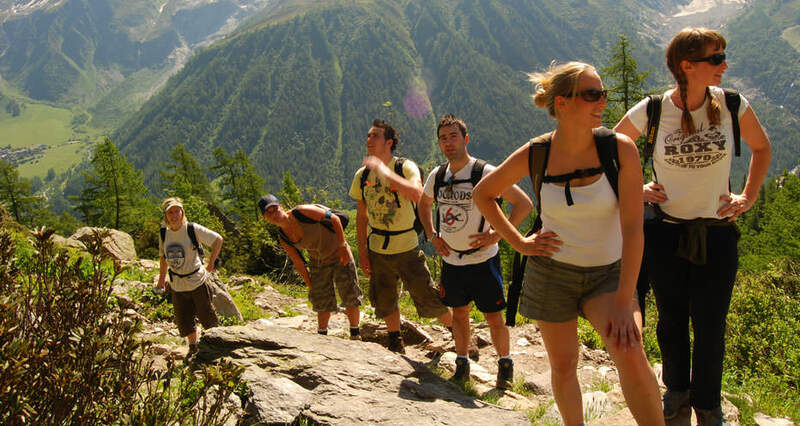 Largely attracted by the walking and mountaineering, people will stay for one or two nights whilst on the Tour du Mont Blanc or stay in between expeditions to climb the higher Alpine peaks. There are a number of hotels and bed and breakfasts all located within a five minute walk of the village centre. From the centre of the village you can see many summits including the Aiguille Verte and Aiguille d’Argentiere and, at the southern end of the valley, Mont Blanc. Long-associated with mountaineering, the village has been home to some of the most famous Alpinists. A stroll in the cemetery is interesting as there are innumerable headstones bearing household names of mountaineers. A few minutes walk from the village is the Grands Montets ski lift which is open all summer. It is a two-stage lift and you change at Lognan at 1972m before continuing up to the top station at 3300m. 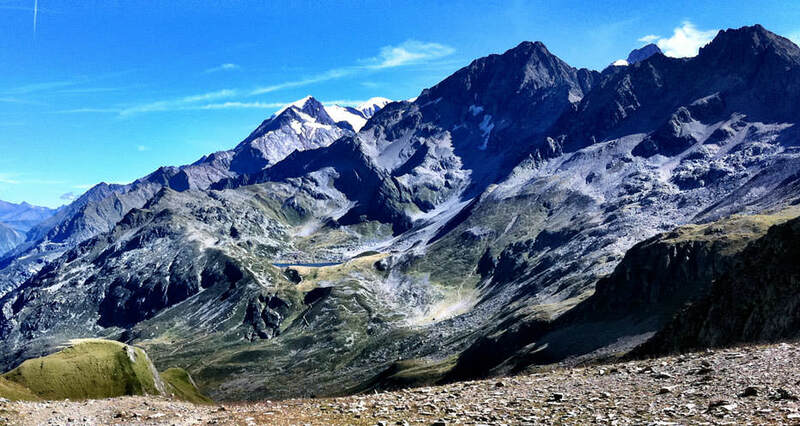 From here you have incredible close-up views of the North Face of the Les Dru and the whole of the Argentiere glacier stretching into the distance and flanked by huge snow-covered Alpine peaks. You should be able to spot the tiny colourful specks that are mountaineers and gaze down at the whole of the Chamonix Valley. There is a small café and a large viewing platform at the top station. 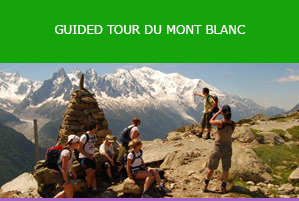 For hikers, Argentiere offers a good base as it is on the Tour du Mont Blanc and has a number of hotels and a campsite. In addition, there is a small well-stocked supermarket, two boulangeries and a number of outdoor shops selling hiking gear. There is an ATM next to the Tourist Office and, owing to the excellent public transport system, you can very easily take the 15 minute train or bus ride into Chamonix. 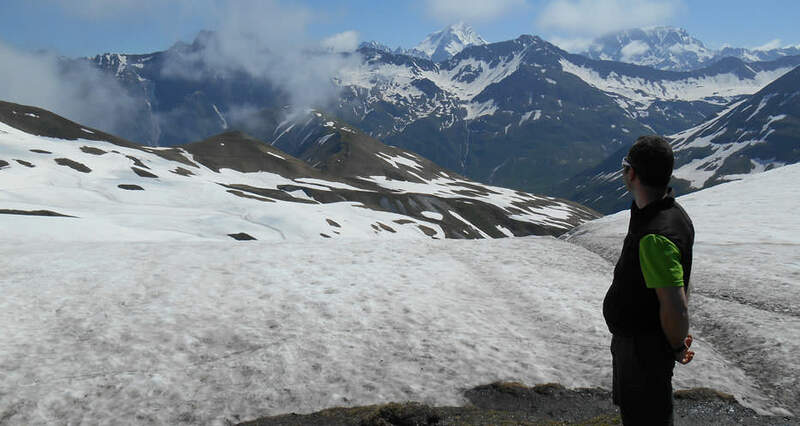 Argentiere is the logical place to stay when trekking from Chamonix via Lac Blanc or going on to the Col de la Forclaz in Switzerland via the Col de Balme. The routes are well-signposted, but there are quite a lot of them. If coming from Lac Blanc it is best to either descend by the paravalanche route or traverse to the Col des Montets and walk back through Montroc. 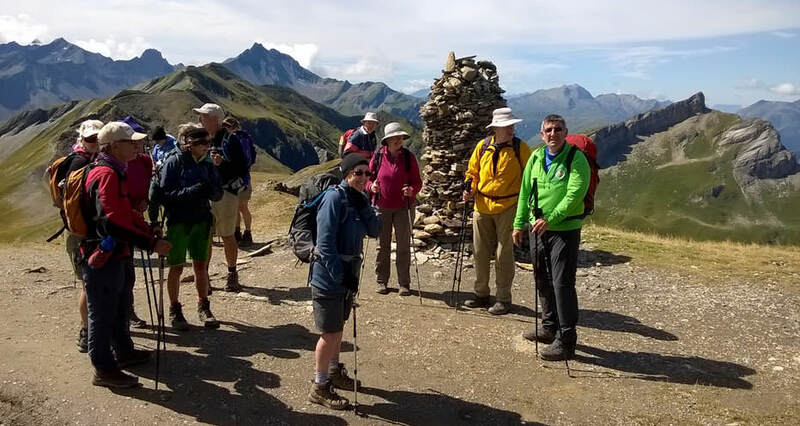 When heading to the Col de Balme, either go through Old Argentiere and the pretty village of Le Tour or take the bus to Tre le Champ and head up the whale-back mountain to the top of the Aiguillette des Posettes (2201m). 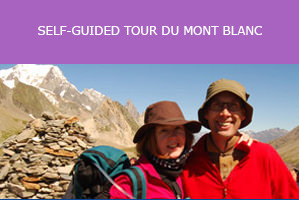 The latter route is one of the best hikes in the Chamonix Valley and offers unrivalled views of Le Tour Glacier, Aiguille du Chardonnet, Aiguille d’Argentiere, the Argentiere Glacier, Aig Verte, Les Droites and Les Drus. 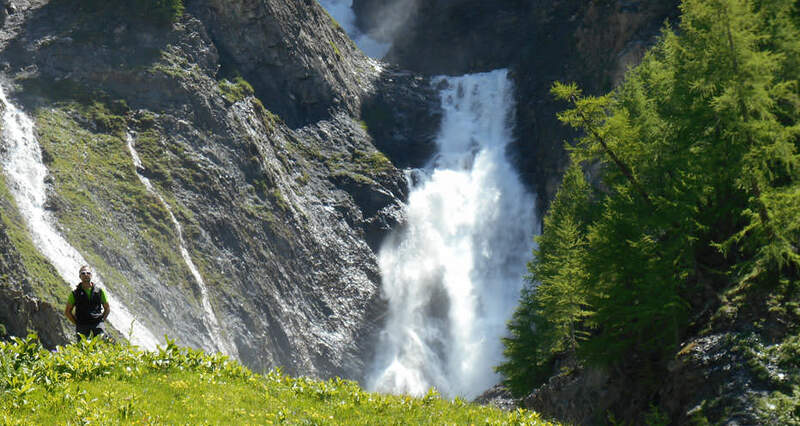 In addition, you look north and west to the Aiguilles Rouges National Reserve which are home to ibex, or wild goats, that live in the European Alps.